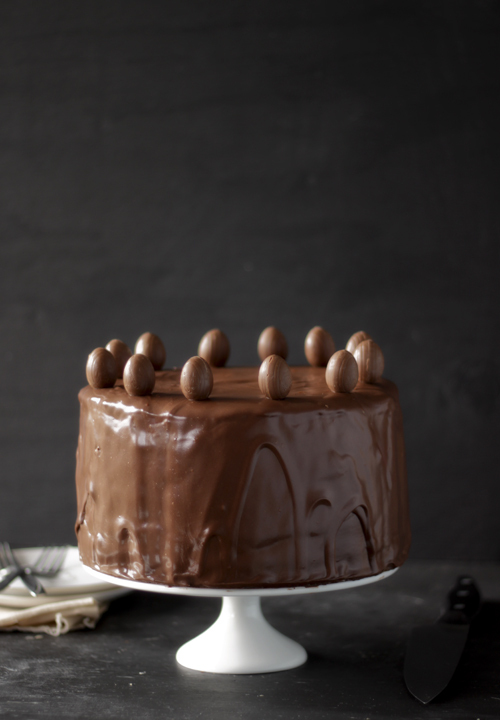 Creme Egg Cake — always with butter. Cadbury Creme Eggs. They are pretty much the best thing about Easter. I have been eating them for about 2 months now already and it's not even Easter yet. So when I saw the design for a cake shaped like it, I knew I had to make it. It doesn't taste like a creme egg, who could replicate the one of a kind gooey center? It is still very tasty and fun for the Easter table. 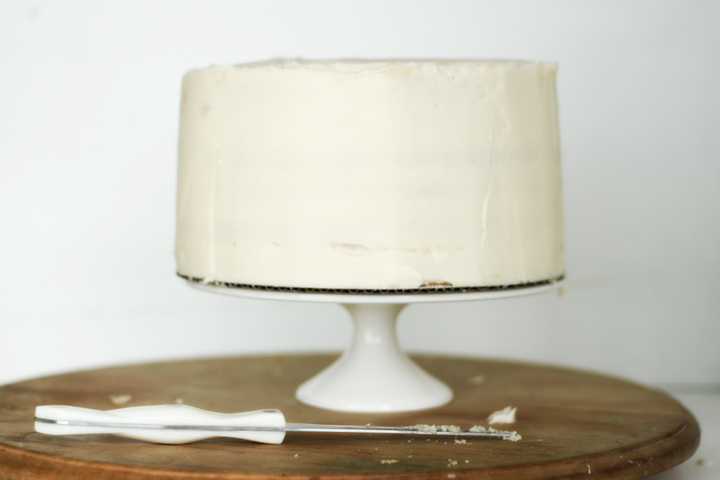 White cake, vanilla buttercream and chocolate ganache. Simple but a great combination. This makes a very large cake and even a small piece is very filling, and thats saying a lot from me who can eat sugar all day and night. But it seemed to last in the fridge for a while. It has been in our for a week now and it still tastes great. 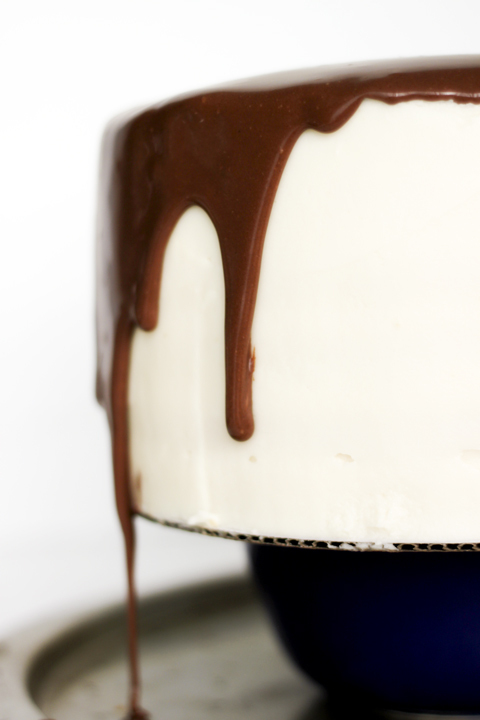 Yum, chocolate ganache. A lot spilled over the sides for me, so I just scooped it up, put it back in the bowl and continued to use it. I had some extra left over too, so I froze it and then scooped it ito little balls to make truffles. Just roll them in cocoa powder and they are ready to eat, just keep them in the fridge or freezer otherwise you will have a mess on your hands. 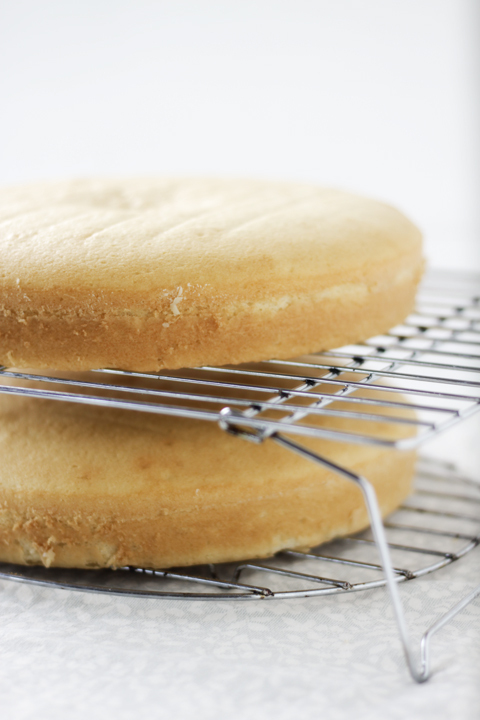 Ok so the yellow center is not really in the center of the cake. I probably should have done the 5 layers, made the hole, filled it and then topped it with the 6th layer. Oh well, I will know for next time and now you know! all in half so you have 6 layers total. Place bottom layer on a 9 inch cardboard round. runs down all sides, covering it completely.